American General Financial Services, a member of American International Group Inc., provides loans, retail financing and other credit-related products to more than two million families in 45 states, Puerto Rico and the U.S. Virgin Islands. ADL fights anti-Semitism and all forms of bigotry here and abroad, combats international terrorism, probes the roots of hatred, advocates before Congress, comes to the aid of victims of bigotry, develops educational programs, and serves as a public resource for government, media, law enforcement and the public, all toward the goals of countering and reducing hatred. With its National Headquarters in New York City, ADL has a network of Regional and Satellite Offices throughout America and in Jerusalem, Vienna and Moscow. Established in 2003, A.R.T. Furniture offers originally designed collections ranging from elegant transitional to classical traditional, encompassing bedroom, dining and occasional pieces. Each collection is designed to attract consumers, while allowing the retailer to make strong profits. Quality features like English dovetail construction and 20- to 14- step processing, lower inventory investment, and shorter lead times due to Far East and U.S. warehouse programs, are all part of the A.R.T. advantage. Retail 6 is a 100 percent Windows-based wireless system that offers innovative touch screens, real data in real time, bar code scanning through flexible serialization, predictive workflow and 24/7/365 security and support. CitiFinancial Retail Services offers Private Label credit cards that strengthen relationships between retailers and customers. Let us increase your bottom line with convenient, affordable financing programs. Collezione Europa presents a selection of handsome, versatile and affordable furnishings for todays lifestyle. Complete collections with bedrooms, dining groups, upholstery, entertainment walls, occasional and home office. Escalate Retail is a leading supplier of software solutions for retailers. Escalate, the result of a merger between GERS Retail Systems and Ecometry Corp., has a strong reputation with its clients, industry leaders, analysts and other software providers. In 2004, Escalate was named the No. 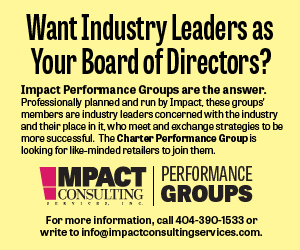 1 Software Provider for the Retail Industry by RIS News Leaderboard, a comparison ranking by retailers nationwide. Not only did it rank Escalate as No. 1 overall, but also placed the company in the Top 10 in all 10 categories, including ROI, support, ease of administration/maintenance, retail concentration, customer satisfaction and service. Fairmont Designs markets high-quality home furnishings for the bedroom, living room and entertainment room. Foamex is the leading producer of flexible polyurethane foam for the bedding, furniture, carpet cushion and automotive markets as well as technical foams for diverse applications in industrial, consumer, electronics and transportation industries. As a global manufacturer, wholesaler and importer of innovative home furnishings, Four Hands invites the world to explore and uncover styles of both ancient and modern civilizations, affordably. 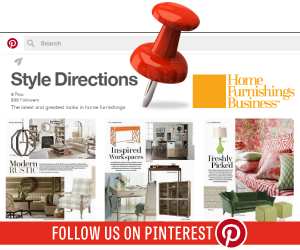 FurnitureFan, a division of Impact Consulting Services Inc., has been providing internet marketing services solely to the home furnishings industry since 1999. 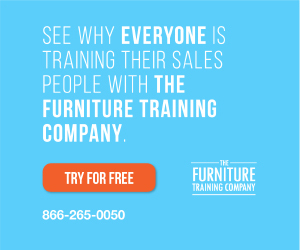 FurnitureFan, the online directory, will see an average of 26,000 consumers per day and refer them to 12,000 stores throughout North America. FurnitureFan has developed the Internet marketing strategy for over 120 manufacturers, and in excess of 1,100 home furnishings retailers. GE Money is the consumer and small business financial services unit of General Electric. Our expertise in financial services dates back more than 75 years, when the GE Credit Corporation was formed to finance the purchase of home appliances. Today, more than 118 million customers in 50 countries around the world turn to GE Money for their everyday financial solutions. Highland Design offers sophisticated transitional and antique reproduction bedroom, office and entertainment collections that combine old world craftsmanship with new world function. Sophisticated looks for a great value. Homelegance Inc. is a wholesaler that offers dining, bedroom, entertainment, home office, youth, lighting and occasionals collections, in addition to sofas, chairs, futons, daybeds, accessories, bombes and curios. Homelegance also features its Cebu collection of fine tables. Our retail partners enjoy the flexibility of selecting gallery settings from any of the Klaussner family of products with the knowledge that we back every item we manufacture. While there are many product lines under the Klaussner Furniture Industries umbrella, all are backed with our parent companys commitment to providing the highest quality furnishings possible with value at every price point. Kreber is your complete advertising team on an outsource basis. Were an experienced and talented team of marketing strategists, designers, photographers and printing professionals who can streamline your creative process into a coordinated success. We create marketing solutions that emotionally connect with your customers and motivate them to buy from you. Lexington Home Brands is a leading global marketer and manufacturer of branded case goods and upholstery, with the industrys largest brand portfolio. Well-known consumer brands include Tommy Bahama Home®, Liz Claiborne Home¢, Nautica®, Palmer Home¢, Bob Timberlake® and Woolrich®. LHB also markets products under the Lexington house brand. Youth brands include Bob Timberlake Grandkids and Lexington Kids. Products are distributed through independent home furnishings retailers and designer showrooms. A privately held company, Lexington Home Brands is an affiliate of Boca Raton-based Sun Capital Partners Inc.
Magnussen Home is dedicated to exceeding your expectations. From our design excellence to our industry-leading delivery performance, we bring you faster, better products ... on time, as promised. MMPI is both a property manager specializing in buildings devoted to wholesale showrooms and office space and a trade show producer hosting dozens of trade shows and more than 300 conferences and special events. Myriad Software was founded in 1990 by Carolyn Crowley and Russell Higgins. The companys flagship productEclicktic¢ for Windowsis a fully-integrated complete business package designed specifically for the retail home furnishings industry. This robust software system manages sales, inventory, inventory control (including bar-coding), accounting, special order tracking, customer history and more. Myriad Software has quickly amassed over 200 impressive customers running over 230 retail locations using their Eclicktic¢ software. Myriad Softwares success can be attributed to Myriads superior product design and exceptional customer service. R&D Imports offers an eclectic selection of traditional, contemporary and lifestyle case goods and furniture. It ships merchandise in less-than-container loads from our Los Angeles distribution center, as well as factory direct container shipments at significant savings. It also offers private label manufacturing for container shipments. STORIS Management Systems is the pace-setter in business solutions for the retail industry. Over 300 leading big-ticket retailers rely on our management systems to integrate operations, streamline processes and outperform the competition. Vision R8, STORIS powerful enterprise system, brings business rules for more profitable operations within reach of all retailers. Manufacturing fine upholstery and case goods for the home, Vanguard Furniture is a privately held, family-owned and operated company located in Hickory, N.C. The best materials, artistic craftsmanship and a commitment to quality have distinguished Vanguard as an industry leader in the home furnishings market. Western Home Furnishings Association, western affiliate of the National Home Furnishings Association, provides affordable business solutions and education to home furnishings retailers in 12 Western states. WithIt is the premiere organization dedicated to the support and development of female professionals in the home industries. Our mission: to encourage and develop leadership, mentoring, education and opportunity for professional women in the home furnishings industry. Las Vegas Market is an international home furnishings showcase that combines style, inspiration and productivity like no other market. Here you will shop an incredible depth and breadth of product offerings. Have easy access to more than 1,500 world-class manufacturers and fresh new resources. Discover the trends. Get information. Do business in state-of-the-art efficiency. And enjoy the hospitality of the worlds most exciting city.